Grand Rapids: Baker Book House, 1996. . 162 pages. 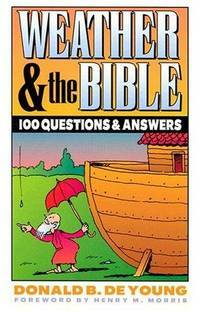 Questions on weather-related topics answered from a Christian/Biblical point of view. Donald B DeYoung was chairman of the Physical Science deparftment at Grace College, Winona Lake, and Editor of the Creation Research Society Quarterly.. Paperback. Good. Green Forest, Arkansas, U.S.A.: Master Books, 2010. . 381 pages, illustrated.. Paperback. Good. Welwyn: Evangelical Press, 1978. . 33 pages, large format, illustrated. 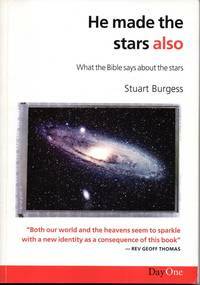 Based on talks given at Thornton Heath Evangelical Church in 1971, which later appeared in Evangelical Times and were very influential.. Pamphlet. Average. The Great Brain Robbery: Creation or Evolution? Worthing: Henry E Walter Ltd, 1975. . 108 pages. Spine damaged.. Paperback. Average Minus. Springville, Alabama, USA: Iachod Visuals, 2008. . 45 minute creation science documentary. Will play in UK.. DVD. Very Good. Newton Abbot: Dunestone Printers Ltd, 1978. . 170 pages.. First Edition. Paperback. Average. London: Evangelical Press, 1974. . 144 pages. 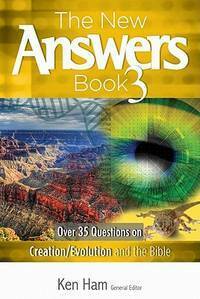 One of the pioneering books of the modern evangelical Young Earth Creationist movement. 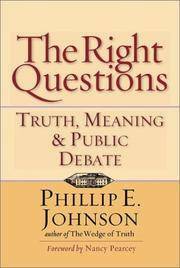 John Clement Whitcomb (1924-) was Professor of Theology and Old Testament at Grace Theological Seminary, Winona Lake, Indiana, a college related to churches of German anabaptist origin.. Paperback. Good. Downers Grove: InterVarsity Press, 2002. . 191 pages.. Hard Cover. Average/Average. Midland, Michigan, USA: Inquiry Press, 1978. . 455 pages, illustrated. Some messy pen underling to first couple of chapters.. Paperback. Average. Epsom: Day One Publications, 2001. . 186 pages.. First Edition. Paperback. Good. London: Hodder & Stoughton, 1979. . 288 pages, by the founder of Regent College, Vancouver. Houston appears to follow P J Wiseman in teaching that the six days of Genesis were not when God created but a literary framework by which God reveals his works.. First Edition. Paperback. Good. Exeter: Paternoster, 1966. . 192 pages.. Paperback. Average. Exeter: Paternoster Press, 1966. . 159 pages.. Paperback. Average. London: Evangelical Press, 1967. . 172 pages, illustrated. Edges foxed. Foreword by Sir Cecil Wakeley, Past President of the Royal College of Surgeons. . First Edition (British). Paperback. Average. Epsom: Day One Publications, 1997. . 207 pages.. First Edition. Paperback. Very Good. London: Crusade/Evangelical Alliance, 1961. . 11 pages.. Pamphlet. Average. Edinburgh: Banner of Truth Trust, 1989. . 180 pages.. Paperback. Good. 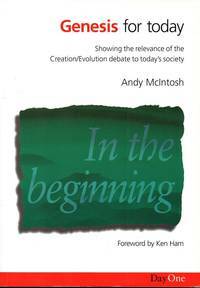 Rugby: Biblical Creation Society, 1982. . 32 pages. Articles by J H Peet, John J Bimson, J B Griffiths, Gerald Duffett.. Pamphlet. Good. London: Crusade/Evangelical Alliance, 1967. . 15 pages.. First Edition Thus. Pamphlet. Good.